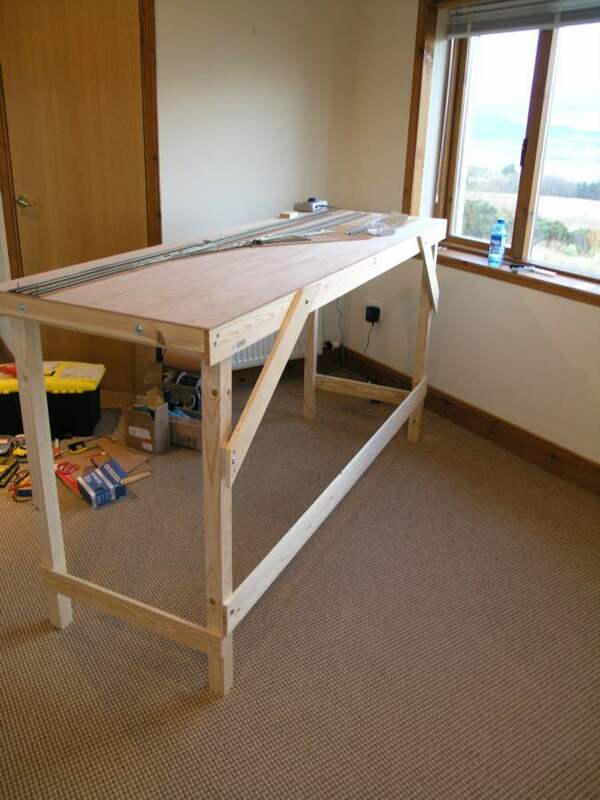 First I have fitted diagonals (with Anna as helper) as you can see from the first photo, these are bolted on, maintaining the ability to take the whole thing apart fairly easily. AgedP was completely correct in pointing out that these were necessary. Earlier in the week, I fitted a Lenz Silver DCC decoder to the class 31 loco I recently purchased. This was not as bad as I had feared but it left me with two questions - (a) how you use heatshrink tubing - if you are supposed to heat it then what means? (b) why did my Lenz Silver decoder come with nine wires, eight which are soldered into the standard sized eight pin plug and one loose purple one? I have fitted my first point motor a tortoise, which I both like and hate, I love the realisitic slow movement it gives, I love the loss of clunky, unreliable, peaky current, solenoid motors but I don't like the way they work with Peco points, where the over-centre spring is too strong for a typical tortoise, I still think it is much noiser than it needs to be, I don't like the mounting mechanism. More research needed. In the short term I have removed the over-centre spring from the one point that I have so fitted. 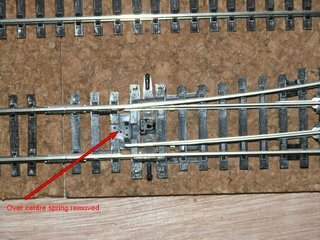 Questions - can I drive both points in a crossing pair from a single switch, - what is the best way to fit with peco points. Cross wiring code 100 vs code 75. 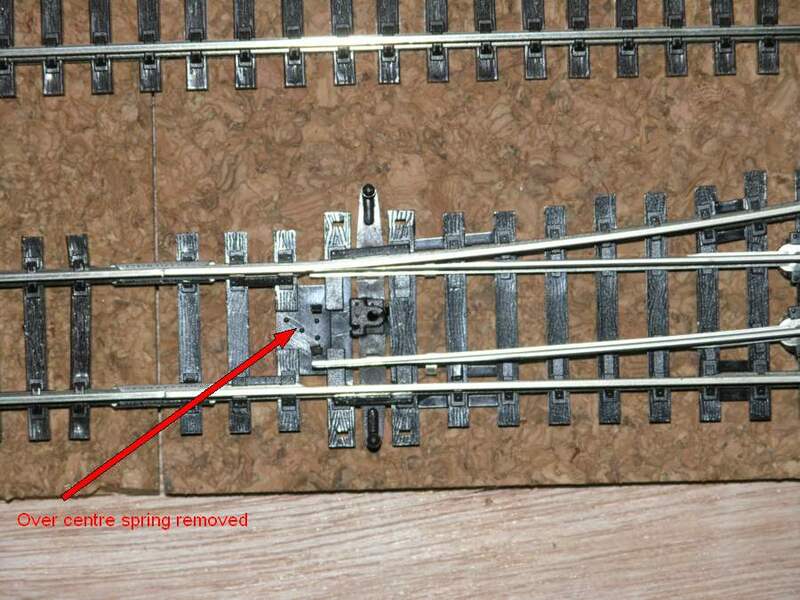 Remove the center spring with Peco points. And yes,you can drive two points with a single switch. It is logical as if you had two switches and only flicked one, you would have derailments.